Carbon Capture Storage (CCS) technologies help to reduce emissions from fossil fuel energy operations, such as coal fired power plants. While these technologies have the benefit of reducing greenhouse gas emissions and making the operations more climate friendly, they are costly for extraction companies. Wind power has the benefit of low emissions, but is dependent on weather and fails to provide a stable energy supply. This paper identifies a way to reduce the cost of CCS, which involves partnering with wind powered energy. Bandyopadhyay and Patiño-Escheverri (2014) find that this partnership can make CCS vastly cheaper for the producers and the partnership would also create additional incentives for developing renewable energy sources in the form of wind power. Through the partnership, power providers will have the flexibility to direct power to multiple uses depending on price fluctuations, thus minimizing profit loss from incorporating CCS. The paper examines a form of carbon storage that uses “CO2-rich” amine solution. One downside of this form of CCS is that it requires energy to break down the amine solution, and this can decrease net power output from the coal plants by 20-40%. Needing to divert so much power to CCS is one of the major drawbacks preventing power producers from including CCS in their operations. This paper explains that one major way to reduce the cost of diverting power towards breaking down the captured carbon products is to store the power and not dispose of it immediately. By storing the CO 2-laden amine solution, the companies can choose to break down the carbon products during times of low electricity prices, and thus time their CCS breakdown with times of low profit. Overall, this helps minimize cost by allowing them to maximize their profits and only direct energy towards CCS when profits would be low. 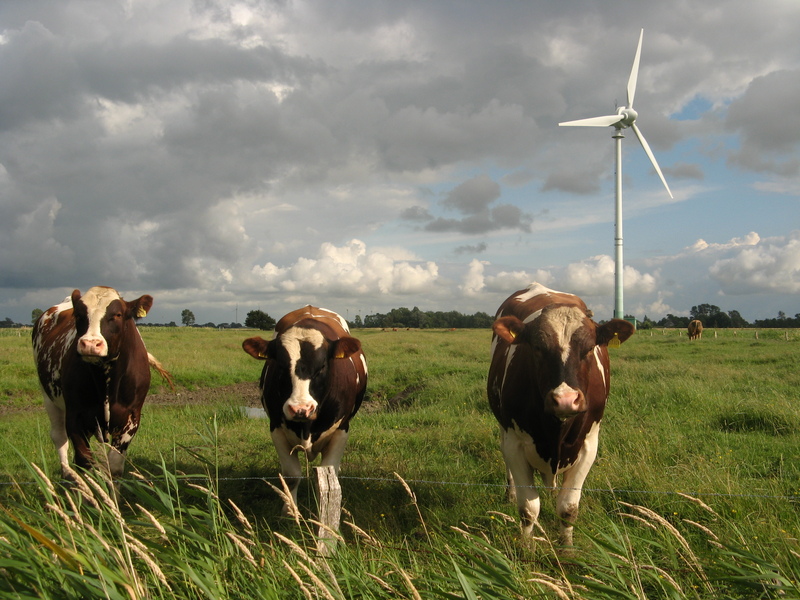 This effect is further helped by the inclusion of wind energy systems. Wind power from excessively windy days –that might otherwise overwhelm their transmission lines– can instead be channeled to breaking down of the captured carbon compounds. This essentially allows the stored carbon compounds to serve as storage for the wind energy, which usually suffers the disadvantage of not being easily storable. Overall this partnership offers a clever way to mitigate the inconsistency of wind power and the costs of CCS on coal fired power plants. By comparing CO2 capture (CoC) cost estimates and Levelized Cost of Electricity (LCOE) in the Chicago area, Bandyopadhyay and Patiño-Escheverri were able to compare the relative costs of different energy configurations involving coal plants and even the option of replacing them with gas-fired ones. They found that hybrid plants had significant decreases in CoC and in LCOE as compared to continuously operating coal plants, thus making CCS more attractive than previously thought and offering potential for lower energy prices. Under the price fluctuations observed in the Chicago Hub, hybrid plants were favorable in about 70% of the wind energy sites they considered. Additionally, these findings suggest hybrid power sources as a further incentive for developing wind technology, and may be a better motivator than power subsidies for wind farms. Lastly, they find the hybrid systems to be more cost effective in the face of CCS than new natural gas plants. The exact cost reductions vary according to the assumptions, but all benefits are likely to be understated given that the study didn’t account for cost reductions from avoiding new transmission line construction in a case where wind and coal plants were developed separately. The study also assumed that hybrid operations would adjust on an hourly basis, when they could probably operate much faster. This would allow for even more cost-effective power generation. Currently, wind-coal hybrid partnerships are not in place, nor are any CCS technologies. Reducing costs to CCS are a worthwhile step towards making them economically (and politically) viable, and ultimately, operational. Bandyopadhyay, R., and Patiño-Echeverri, 2014. Alternative energy storage for wind power: coal plants with Amine-based CCS. Energy Procedia 63: 7337–7348. This entry was posted in Tim Storer, Wind Power and tagged Amine-based, carbon storage, CCS, climate change rubenka.bandyopadhyay@duke.edu, Coal Plants, Dalia Patiño-Echeverri, dalia.patino@duke.edu, Energy Procedia, hybrid energy, Rubenka Bandyopadhyay, Wind Power by Emil Morhardt. Bookmark the permalink.